State Chaplain Most Reverend Ken Nowakowski visited St Nicholas Ukrainian Catholic Church in Victoria on February 16th, 2014, celebrating the 10:00 AM Mass there. 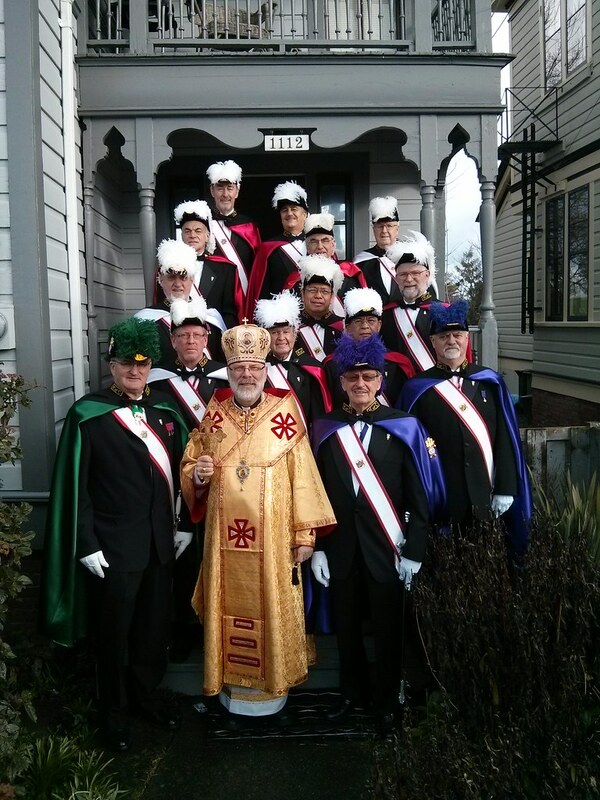 4th Degree Knights from Father Brabant Assembly # 0032 and Bishop Demers Assembly # 3364 provided an Honour Guard for the occasion. In green regalia, we have the District Marshal, SK Ken Rehman, and in purple, commanders of Father Brabant Assembly # 0032 and Bishop Demers Assembly # 3364, SK Hank Francis and Sir Knight Eugene Ciunyk, surrounded by the Honour Guard of both Assemblies.